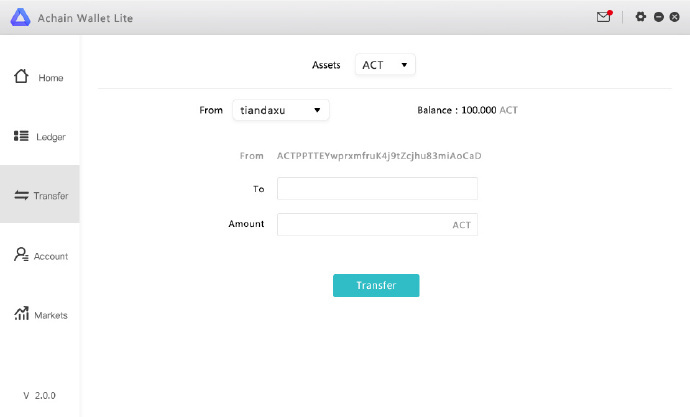 The Achain Wallet User Interface has been updated. Below is a list of changes that have been made. 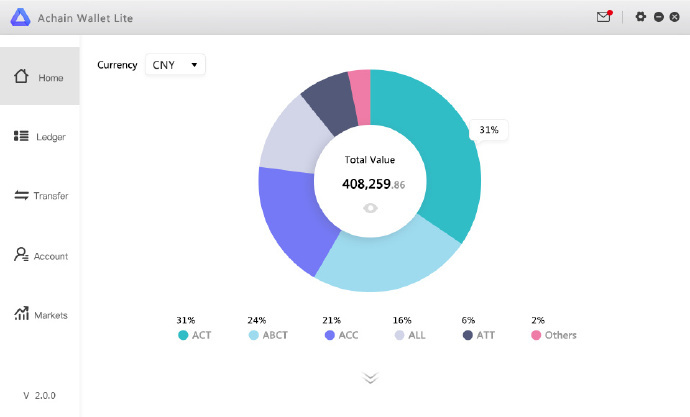 We added a doughnut chart on the homepage displaying the sum of user assets. 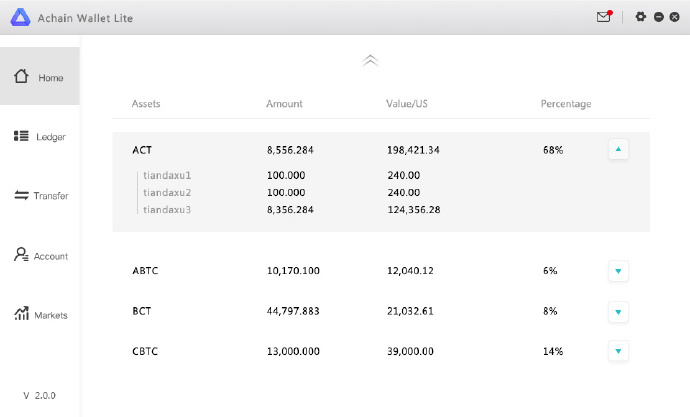 This allows users to browse assets contained in the wallet and the proportion of each asset. In the lower part of the chart, there is a viewable list that displays specific quantities and values of each asset. 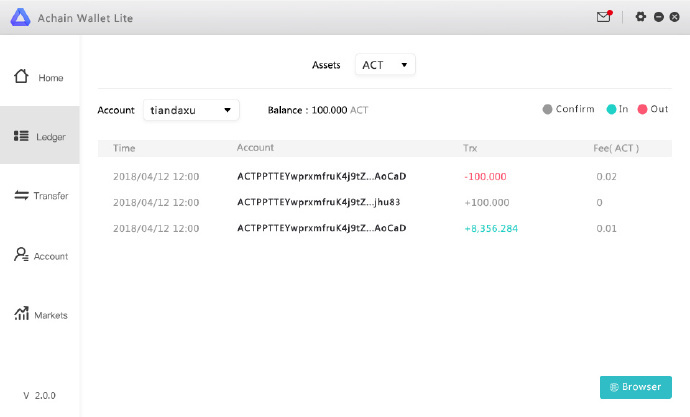 If an asset is transferred to a different account, it may still be viewable. 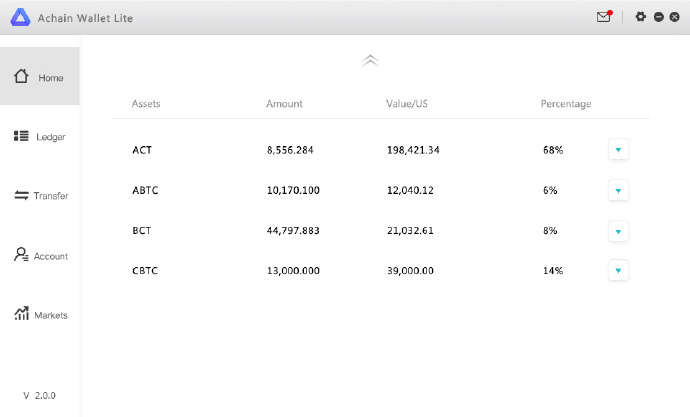 For privacy concerns, we have also added a feature that allows users to hide their total assets and values. 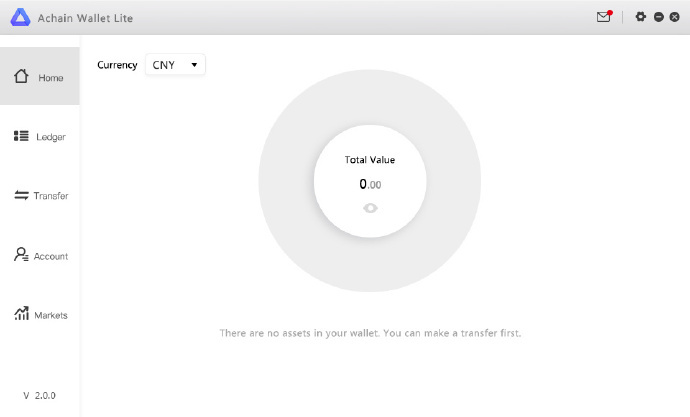 Minor optimizations have been made to the ledger and function tabs that allow for an improved user-friendly experience. If you are a user who operates out of multiple accounts, an account management function has been added to this update. 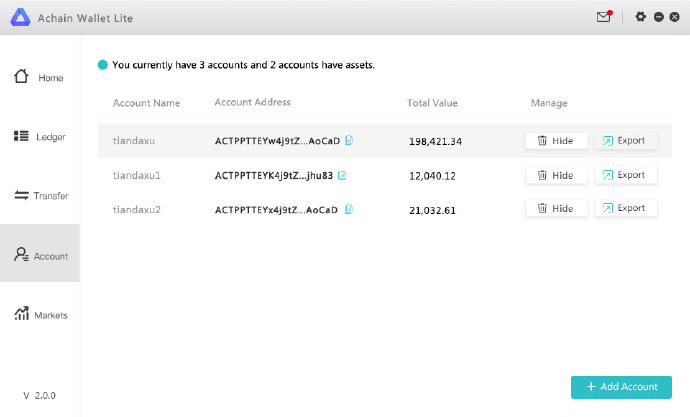 This function will allow the user to view account details and the assets held within them. Accounts may now be hidden to address any privacy concerns. 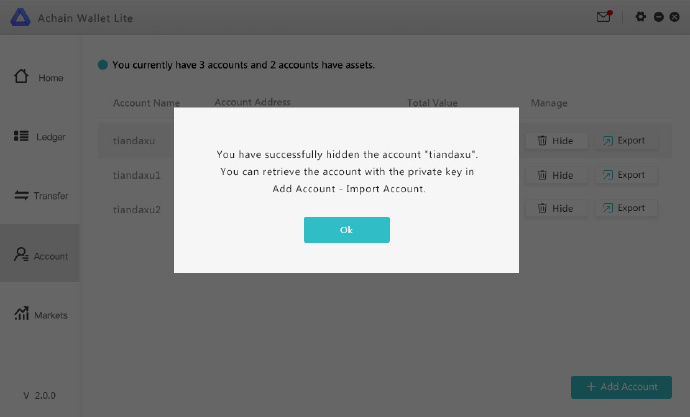 Users can export a private key for their account in the interface. 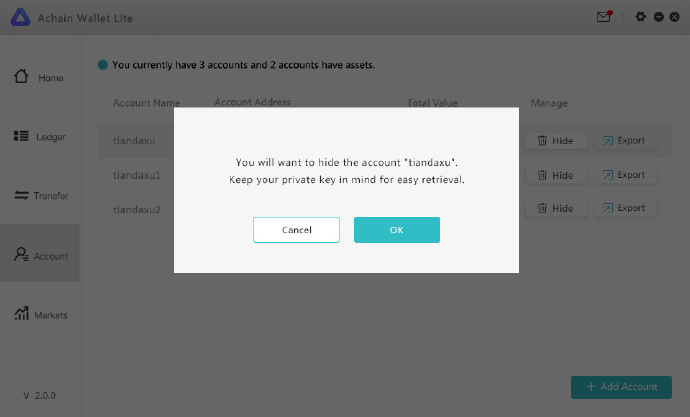 After an account is hidden, the same private key may be imported again to restore the account. 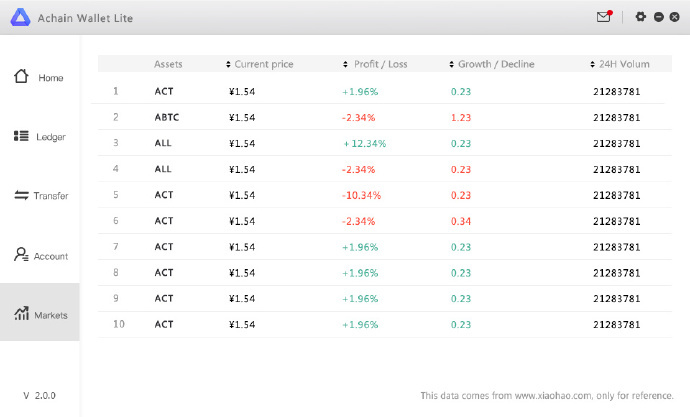 The market tab allows the user to view current market conditions, assets, price, profit/loss, growth/decline, and 24 hr volumes. Notifications will display any important information for the user. These are the latest changes to the Lite Wallet. Users will notice these updates in the next 3-5 business days. Please leave a message below with feedback or suggestions for future updates.